Working as a material controller in 2004, it never occurred to Mr Aiddy Hidayat to become a safety officer. His interest was piqued by a job opportunity offered by his former employer, Overseas Technical Engineering and Construction, to fill in as a temporary safety supervisor urgently needed for one of the company’s projects. “As a result of the exposure I gained during that period, I started to cultivate an interest in work safety and began to plan for a career switch,” recalls Mr Hidayat. He went on to obtain a specialist diploma in workplace safety and health from Ngee Ann Polytechnic and is now working as a workplace safety & health officer at Gammon, a subsidiary company of Gammon Construction, a leading contractor in Hong Kong. 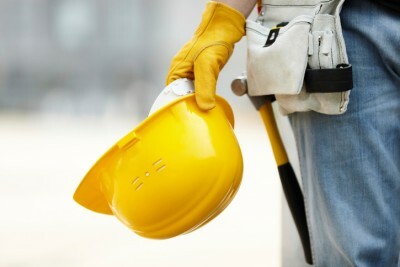 A safety officer is an important member of the construction team because not only does he give the company peace of mind knowing its health and safety requirements are being met, he also ensures that employees are being trained on how to avoid risks, thereby creating a safer work environment. But creating a safe work environment is not as straightforward as it sounds. Recalling his surprise when he first started work as a safety officer, he explains: “Safety is not really the highest priority of many companies. It is easy to talk about it and have a procedure or a system in place. However, implementing the process is surprisingly hard. Despite its challenges, being a safety officer is both meaningful and satisfying for Mr Hidayat, who is very passionate about his job. He says: “It is great to see everyone going home safely to their families, workers shaking your hand and thanking you, telling you that you have done a good job. However, his job was not always a bed of roses. In his line of work, he has encountered one fatality and two cases of major injuries. “The worst part of my job was to see a life being taken away. Two workers also met with amputation injuries. It was really heart-wrenching,” he says. The daily contact with workplace injuries propels him to do well in his job. For those who want to be safety officers, he cautions that they must have the right attitude. “Before taking a step into the safety profession, you must understand what safety is all about. “It is not just a job that you clock in and out of. You must have a passion for what you do and a relentless drive to ensure that things are done right,” he advises. If he could, he would change the mindset of all the people in the construction industry who do not take work safety seriously. “Some people just want to finish the job and earn as much as they can. When you go fast, you miss out a lot of small details which might result in an accident or the loss of life,” he says. Conducting and organising site safety inspections are among his many duties when he is working on a project. He is there to ensure that every step of the work is in compliance with the given procedure. His job carries a lot of responsibility and it keeps him busy. But Mr Hidayat, who used to play rugby and cycle often, is not complaining. Keeping his colleagues and workers safe has become his top priority.